Collage Check-In Cycles act as a framework for employees and managers to have engaging one-on-one conversations with minimal overhead. As administrators you get visibility into the quality of each Check-In and confirmation that they are taking place. 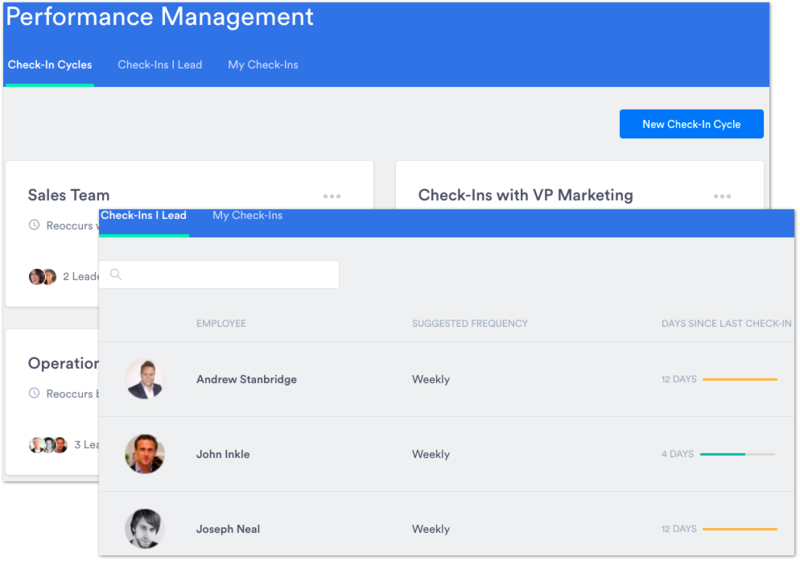 Click here for more information on creating Check-In Cycles and how managers/employees participate. 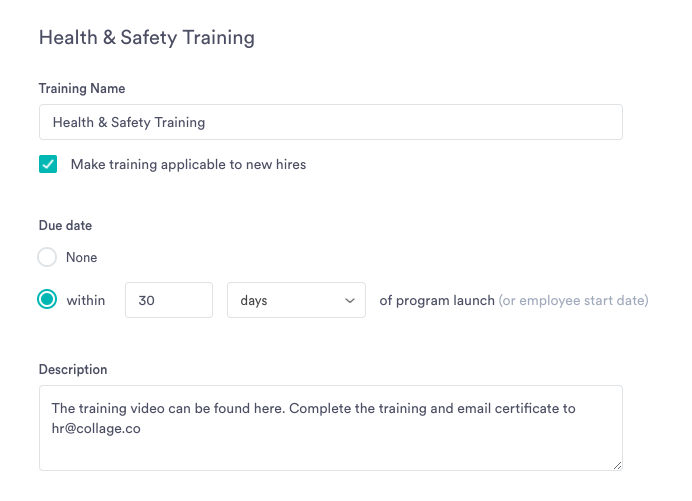 Keeping track of which employees have completed training just got a lot easier with Collage Training Programs. You can launch Training Programs to existing employees and include it as a required step for new hires. Employees are notified of the training they must complete and administrators have a simple dashboard to monitor completion. 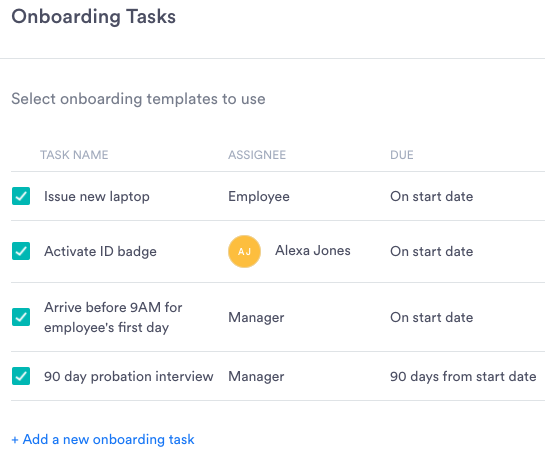 Onboarding tasks now include task templates allowing you to create them once and reuse them with future hires. This is helpful if you have a long checklist of onboarding tasks to run through every time you hire a new employee. 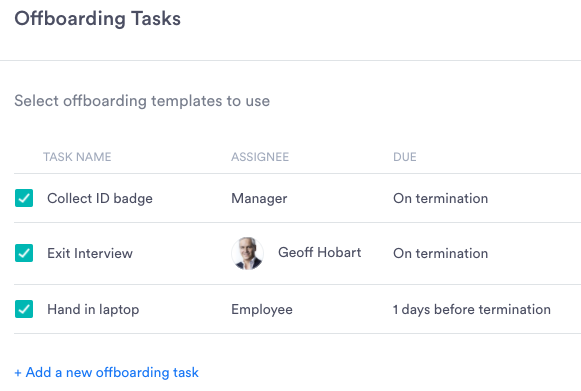 Similar to onboarding, you most likely have a checklist for offboarding. When you terminate an employee in Collage, you now have the ability to trigger Offboarding Tasks to ensure an employees computer is handed in, their ID badge is collected etc. Offboarding tasks can be assigned to the employee being terminated, their manager, or any other employee. You can also set the due date of tasks to key off their termination date.